Our guide to Fireplace Surrounds offers detailed descriptions of companies such as Accent Building Products (APM Direct) and Vermont Structural Slate Company. Specializing in handcrafted fireplace mantels, cabinets, surrounds and shelves. 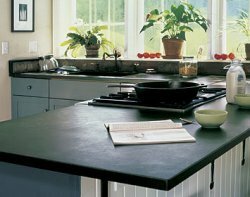 Soapstone countertops are durable, distinctive.